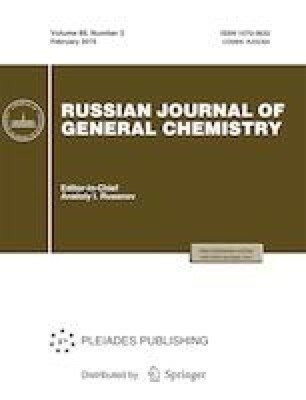 In this manuscript, a ferrocene-linked vic-dioxime ligand (LH2) and its metal complexes [Ni(LH)2, Cu(LH)2, Co(LH)2(H2O)2, Cd(LH)(H2O)(Cl), and Zn(LH)(H2O)(Cl)] are synthesized, and their structures are studied by spectral methods. Redox behavior of the compounds is studied by cyclic voltammetry (CV). For approaching microscopic second-order nonlinear optical (NLO) behavior of the synthesized ligand and its diamagnetic Cd(II), Zn(II), Ni(II) complexes, the electric dipole moment μ, static dipole polarizability α, and first hyperpolarizability β values are computed using ab-initio quantum chemical procedure [finite field (FF)]. The accumulated data indicate that the compounds exhibit non-zero quadratic hyperpolarizability tensor components, implying microscopic NLO phenomena. The HOMOs, LUMOs and the HOMO—LUMO band gaps for first and second frontier orbitals of LH2 ligand and its Cd(II), Zn(II), Ni(II) complexes are evaluated by means of the Hartree-Fock (HF) method.